I've browsed your blog many occasions and always found it a good read, irregardless of whether it answered a question I had at that point in time. A bit of background - Water is something key to my interests, as I have grown up with freshwater fish and currently have become a brewer(of beer). Therefore chemistry and quality of the local liquor has always concerned me. I have recently installed a water filtration system at home with activated alumina - with the intention of removing fluoride. Would you have any advice on where I could get a water test done up? Key substances would be chlorine, chloramine and fluoride. Also, I'd be open if you have other advice to share. Thanks for sharing your interests and your thoughts on my blog. You have touched on one of those controversial and hotly debated health topics in water and food - fluoride. Fluoridation of drinking water was initially touted as beneficial to the protection of teeth against decay. Over the years, studies have shown that an excessive amount of fluoride in our bodies can lead to fluorosis which affects the teeth and bones adversely. The irony is not lost to most people aware of this issue - too little fluoride, you get tooth decay; too much, you get teeth damage. "The dental effects of fluorosis develop much earlier than the skeletal effects in people exposed to large amounts of fluoride. Clinical dental fluorosis is characterized by staining and pitting of the teeth. In more severe cases all the enamel may be damaged. Chronic high-level exposure to fluoride can lead to skeletal fluorosis. In skeletal fluorosis, fluoride accumulates in the bone progressively over many years. The early symptoms of skeletal fluorosis, include stiffness and pain in the joints. In severe cases, the bone structure may change and ligaments may calcify, with resulting impairment of muscles and pain." Naturally, one BIG question is what constitutes an excessive amount. Remember, our intake of fluoride includes the food we eat too. There are already arguments against fluoridation of drinking water since it is claimed that the dosage from our food is already enough to fight tooth decay. According to the drinking water guidelines from WHO, the limit of fluoride stands at 1.5ppm (parts per million). 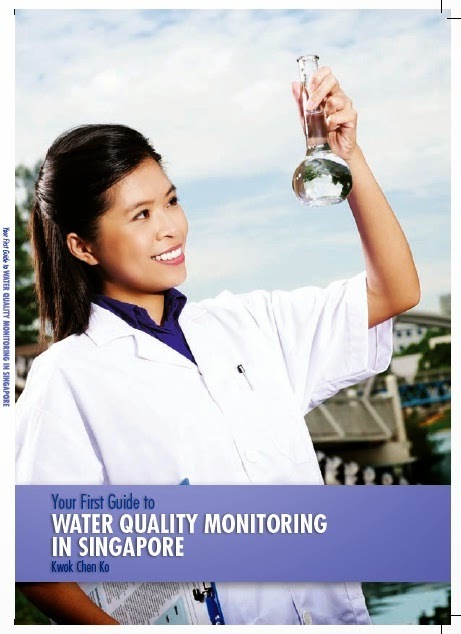 And based on the Singapore Drinking Water Quality Report 2014 from PUB, our drinking water has an average of 0.48ppm and a range of 0.40-0.62ppm fluoride. If you only have one water sample to test, I believe your tests should not cost more than a hundred dollars. BUT very importantly, do find out the detection limits for their tests. If the test results show zero, they simply mean that that particular contaminant is NOT DETECTED rather than totally absent. On the other hand, if you intend to conduct these water quality tests on a long term basis, you may want to consider getting a test kit such as the Checkit Comparator from Aqualytic. The Local distributor is Quantum Technologies Global Pte Ltd. It is designed to test for fluoride from 0.2-2ppm. I feel that this should be enough for your purpose. To detect any lower concentration will require more complicated (and expensive) instruments normally found in a lab. And frankly, I am sceptical that there is a need to reduce the fluoride concentration any lower for beer. Not to mention that it may not be economical to do so - you will need technology more advanced than filters to achieve that low a level. Similarly, the Checkit Comparator can also test for chlorine (free chlorine ) and chloramines (combined chlorine). But do note that each of these tests require the use of different chemicals. 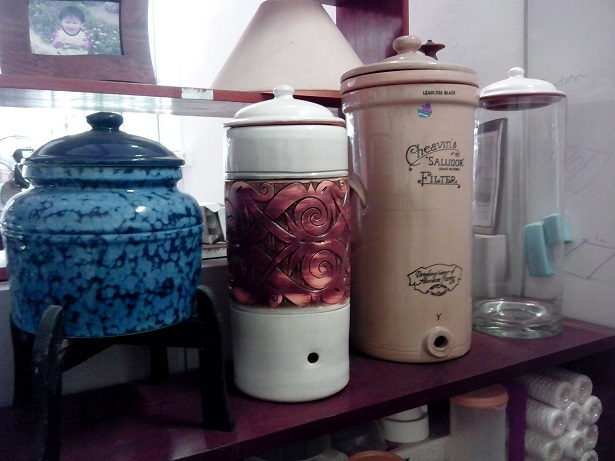 Please be careful about storage, handling and disposal. Wear protective gear and make sure other people are not unnecessarily exposed, especially children. Figure: Aqualytic Checkit Comparator. Different coloured discs are used for different tests. The above discs are for nitrate (pink), ammonia (green), phosphate (blue). Sodium Silicofluoride in potable water in any amount is not desirable because it is simply a toxic substance. In beer brewing, fermenation and enzymes are crucial. German beers are very good because they have good water and air. In Singapore, our water is NUwater (No Use water? ), so it's hard to make any good beer. Fluoridation is not safe for health of humans and animals and the environment and it's not effective in dental caries prevention. Many people in Singapore have skeletal and dental fluorosis and edentulism. These people have been ingesting fluoride from our water supply their whole life. 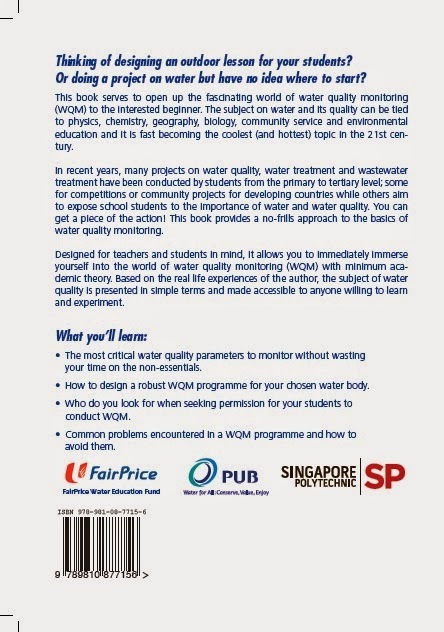 Singapore has 100% of its population exposed to this chemical in the water, which made it a very good subject for studies of human health effects from chronic low dose fluoride exposure. Hopefully, some scientists would seize the opportunity to research on fluoridation.